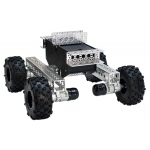 This is the Nomad 4WD Off-Road Chassis kit from Actobotics, a remarkably easy to assemble robotic platform capable of taking you places normal chassis can’t go. What makes this chassis kit great is not only its vast amount of attachment points for various add-ons, but also the fact that it is easily and fully configurable to fit your needs! 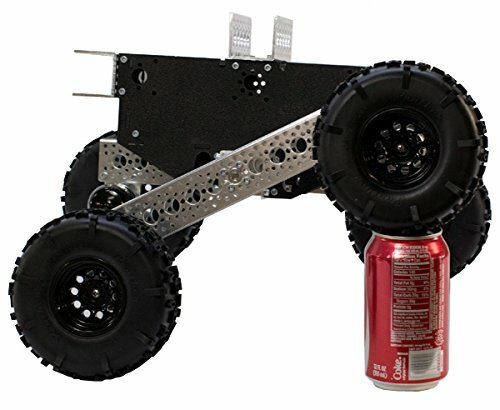 Do you need the off-road wheels a different distance apart from one another? Do you need to switch out a motor due to damage or situational requirements? Do you need a different type of channel or panel attached to the main body for more attachment points? All of this can be done with a simple hex key and a few minutes. 12x Shaft Spacer - ¼"